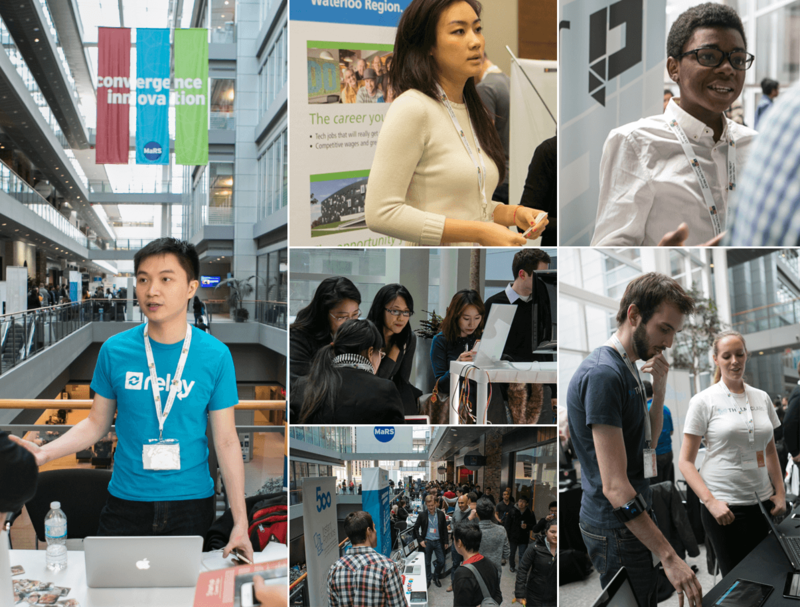 MaRS hosted the jam-packed high-energy Startup Career Expo last week in Toronto, uniting students with startups from across Canada. You’re Next Career Network, the largest student-run career network at the University of Toronto, orchestrated its inaugural job fair dedicated to startups as a unique opportunity for any student or grad with a mind for modern business. Talented entrepreneurs, inventors, developers, marketers, designers and visionaries met with students seeking opportunities and valuable connections. 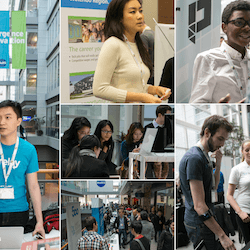 More than 80 startups were on display and 1,500 exuberant attendees took it all in at the collaborative and innovative environment of the MaRS Atrium. The startups included MaRS clients such as 500px, Hubba, Edsby, Financeit, Thalmic Labs and Bionym among others. The Startup Career Expo had us all talking about the promising energy of the startup community and, even better, between all of the amazing startups that came looking to ignite young aspirants with their extraordinary ideas and opportunities over 400 positions were available.